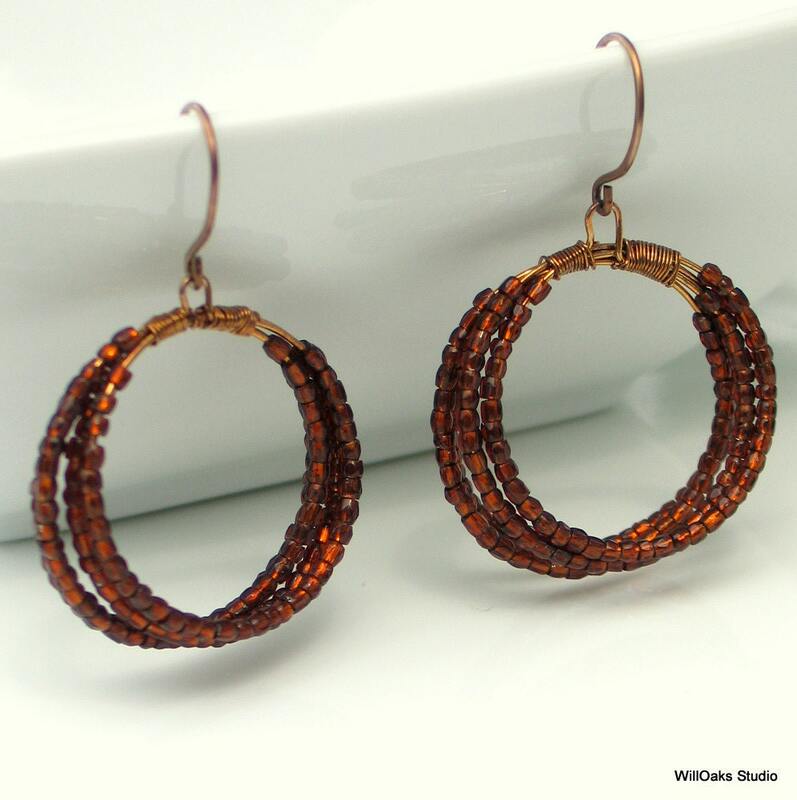 Rootbeer brown vintage 3-cut seed beads are showcased with my original hoop earring design. 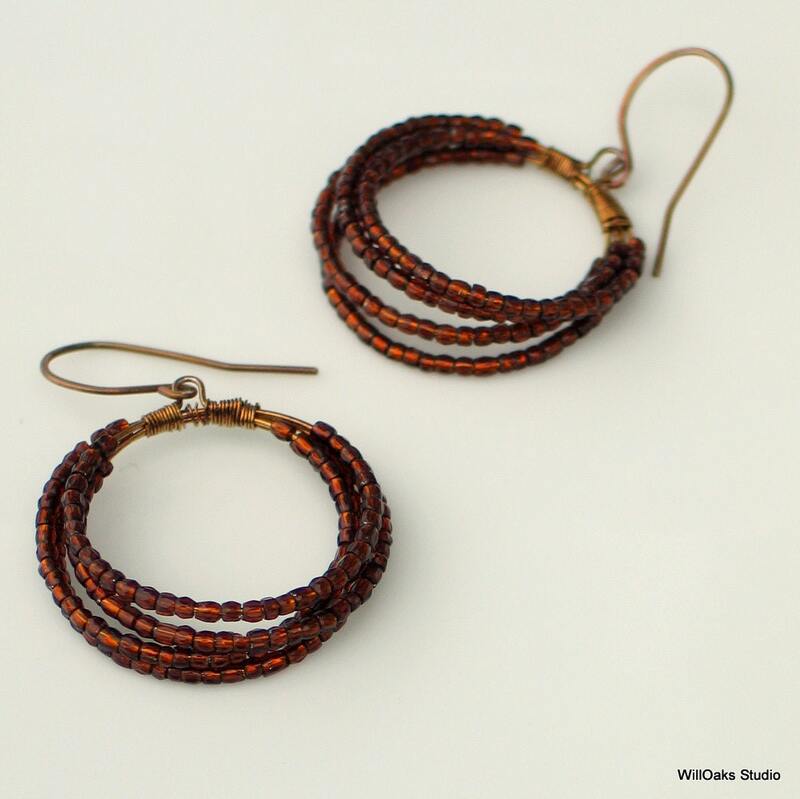 Sterling silver is coiled to hold the beads, bound into hoops to dangle from hand formed ear wires, then all the silver is patinaed to a sort of golden brown color to complement the lovely old seed beads. The effect is fun and swingy with a touch of sparkle where the 3-cut facets glint. Currently, one pair is all ready to ship-and it's the last pair from this limited edition. I began to design earrings with coiled metal wire a few years ago and a number of different forms, especially more organic structures, have evolved. 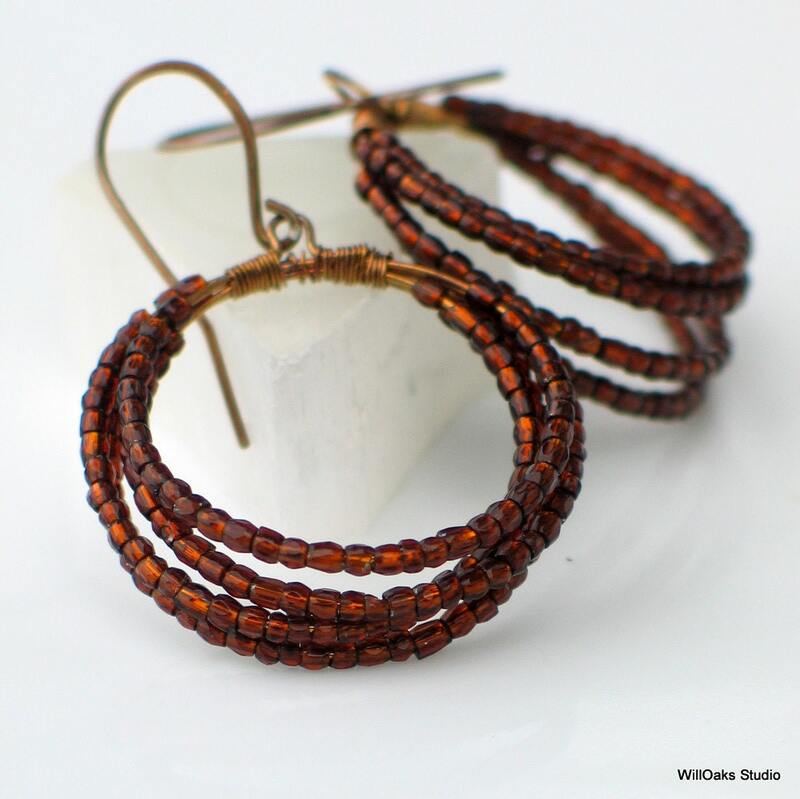 Showcasing vintage and interesting Czech glass seems to mesh well with this original structure, and hoop earrings are such a classic form, that this new direction was born. 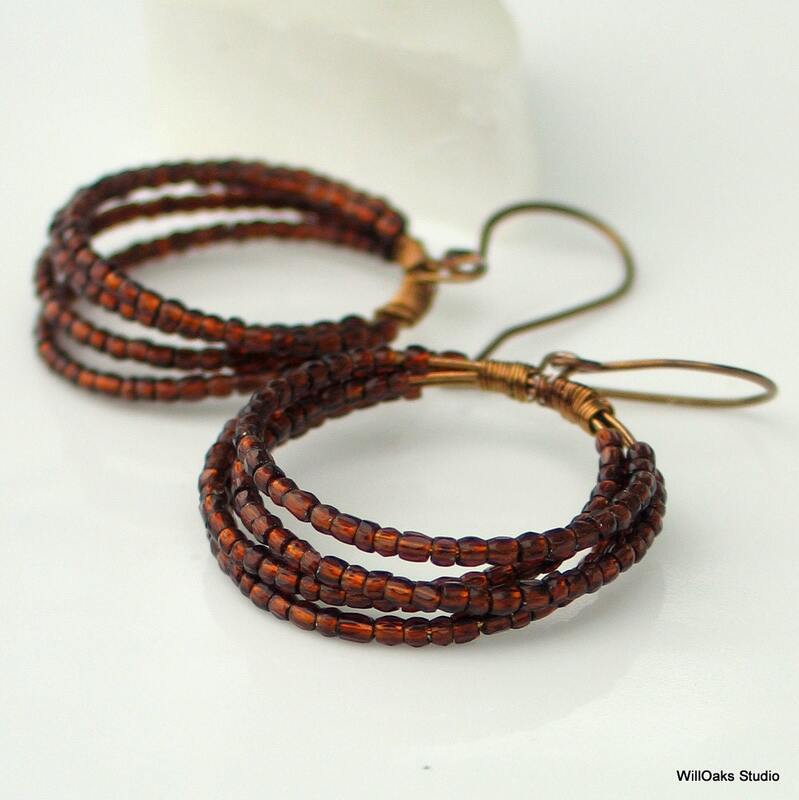 These old beads are faceted in a way that newer seed beads are not and the warm brown color is very rich is a subtle, classy way. Four distinct coils are covered in beads and then bound with finer oxidized silver wire to incorporate a small loop to dangle from ear wires. The hoops are 1 1/4" (32 mm) in outer diameter and the total earring length, from the top of the ear wire, is 1 3/4" (45 mm). Measurements are approximate since earrings are all handmade. Perfect for birthdays, gardeners, nature lovers and equally perfect for casual or for business wear. Fresh, unique earrings that so comfortable and are a joy to wear. This color & design was made to cross seasons, and to go from business to casual. WillOaks Studio earrings are packaged in my signature gift boxes for giving and for storage. Fantastic earrings to wear this summer!